The BKK Web Meetup last night was pretty awesome. It was the biggest turnout I’ve seen yet, and it was also very interactive. 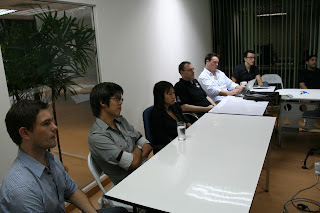 Plenty of discussion, questions, and even stories came from the attendees. 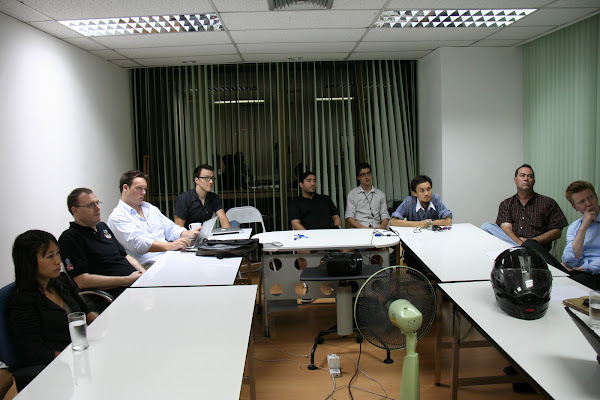 There are some cultural barriers to understand in hiring a Thai/Asian software developer. There are some cultural barriers dealing with Thai clients. Geeks are geeks, make them happy by giving them challenges. Give developers a technical career path other than being manager that doesn't code. Give developers whatever title they want. Don't use recruiters to hire talent. Be Agile (see Agile Software Development). 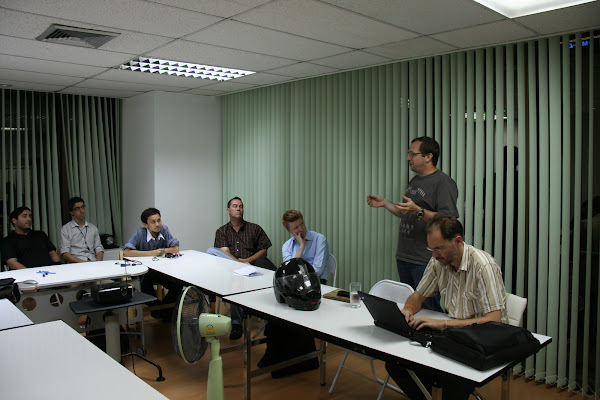 The technology industry in Thailand is improving. Thailand has technical talent, just need to know how to reach out to them. 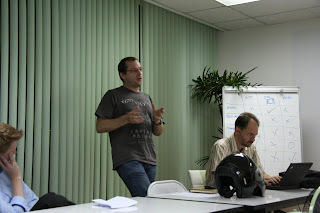 Overall, not too different from what many of my Chicago user groups I attended talk about. Software development has a lot of arts in it over science– at least at the professional real world sense (leaving out research/academia). With that, from my experience, there can be a lot of burn-out from the amount of time a developer puts in front of the computer programming. Developers need technical challenges over being a drone that codes horribly day-in and day-out. Benjamin is right, there needs to be a technical path given other than to grow into a manager that never codes again. In the community of developers I hang out with in Chicago, there’s the Manifesto for Software Craftsmanship, which tries to tackle some of the issues. But in my honest opinion, that can be a bit much– in which case I prefer: Solver’s Manifesto– which I relate to a bit more. And then there’s also: The Motherfucking Manifesto For Programming, Motherfuckers. Enough said. But the points about the cultural barriers is spot on. As a Thai-American that’s been living in Thailand for nearly five months now, I still go through a lot of culture shock that I don’t think should be in the professional workplace. Young people must always respect and listen to older generation. This isn't a bad thing, but the older generation may not be that experienced or even correct, so there is a time to not just listen, but to speak up against the senior. Thai people tend to take criticisms personally. Problems get raised very late, instead of immediately or at the most appropriate time. Shyness to speak up and share ideas. 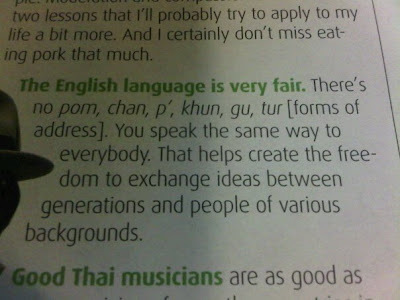 The picture below sums up how there is a weakness in how the Thai language is very traditional. I short, I think a solution to improving this is through community and better communication. Thai culture should get some injection of other ideas and cultures from outside of Thailand. But to keep this post short, I will perhaps blog about that some other time.